Point of Sale (POS) is the time and place where a retail transaction is completed. 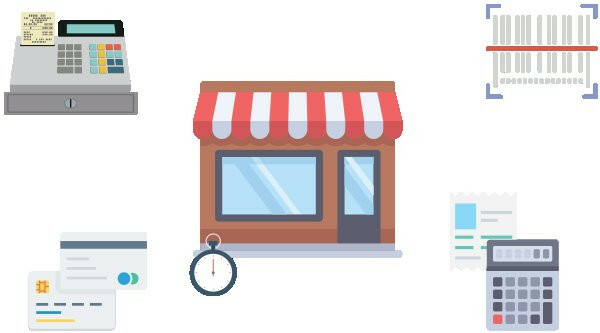 At the point of sale, the merchant would calculate the amount owed by the customer and indicate the amount, and may prepare an invoice for the customer (which may be a cash register printout), and indicate the options for the customer to make payment. It is also the point at which a customer makes a payment to the merchant in exchange for goods or after provision of a service. General Configuration: *Company Setup *Setup of Department *Designation Setup *Organizational Calendar Setup *Holiday & Festival Setup *Designation Setup *Attendance Policy Setup *Shift Setup *Shift and User Assignment *Shift Swapping etc. Reports: *Reports can be exported to PDF,Excel or text file formats *Filter and memorize the ones you use all the time *Hundreds of preconfigured reports with many filters to better enable you to get the information out og retail edge. Dynamic breakdown of installments *Statements, invoices and purchases orders can be quickly printed and then e-mailed to your customer or vendor.